Prudence, glazed terracotta, ca. 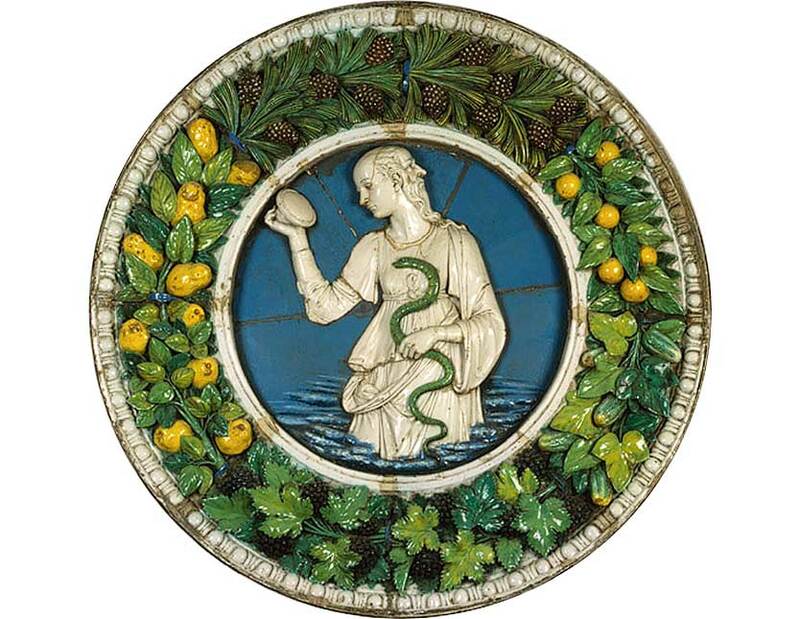 1470, by the extraordinary Andrea della Robbia, who revolutionized vitreous enamel. Eve (with Adam’s face behind her own) appears to be having second thoughts. There simply is nothing more haunting and beautiful than this Quando Corpus Morietur from Pergolesi’s Stabat Mater. Performed here by Margaret Marshall, Soprano and Lucia Valentini Terrani, Contralto, with Claudio Abbado and the London Symphony. 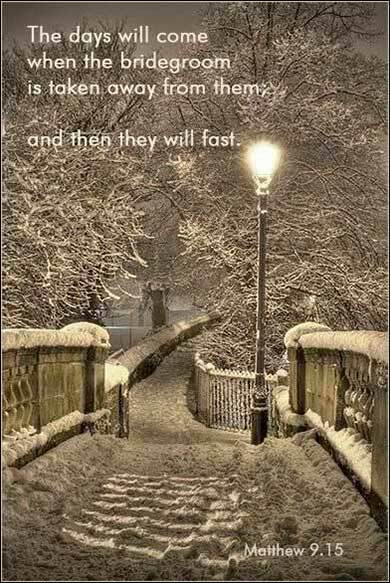 Two notes on the text/translation itself: First, it is not clear whether Jesus and his disciples did not fast at all, or whether they simply did not follow the extensive schedule of fasts decreed by Jewish ritual. We do know, however, that Jesus himself underwent an extraordinary starvation fast at the beginning of his ministry, from our reading of Matthew 4. Secondly, “wedding guests” is a paraphrase or “dynamic equivalent” of the original Greek, rather than a literal correct translation. (This is done fairly often in Bibles, when an ancient term would make no sense to a modern reader.) The actual term, “children of the bridechamber”, refers to Jewish marriage customs of the time. Instead of a honeymoon in Jamaica or Hawaii, a newly married couple in ancient Israel would stay at home for a week. During this time, their good friends and family would visit frequently, bringing gifts; it was a rolling party of joyful celebration, during which the couple would be treated royally — in fact, they were addressed as “king” and “queen”. The people who visited them were called “children of the bridechamber”. It is right and good to celebrate when times are happy; we do not mourn simply because we will die some day. The nature of physical life is ephemeralEphemeral: Lasting for only a short time; transitory; short-lived.. Should we be like the grim Greek philosopher Epictetus, who said, “When you are kissing your child, say to yourself, ‘One day you will die.’”? Christ gives us a lesson in life as well as religion. We are to take our lives, filled though they may be with trouble and affliction, as a time of joy. For we live in hope of eternal life; and we are especially grateful to have a period on earth, to help and serve others and to live and spread God's word, that we might save ourselves and others. We have said that Matthew 9 concentrates on the beginnings of opposition to Christ, and today's passage hardly needs explanation in that regard. In the first two section, he was accused of blasphemy and immorality. Here, he and his disciples are accused of impiety.